Regardless of where they stand on immigration, parents on both sides of the Republican/Democrat aisle agree the atrocities being committed at the U.S.-Mexico border are horrendous and unacceptable — especially the gassing of unarmed children. And now, thankfully, the American Academy of Pediatrics officially agrees. But will their declaration be enough to enact change? The pediatric organization issued a statement on Monday taking a strong stance against the use of tear gas and condemning those who allow and/or approve it. 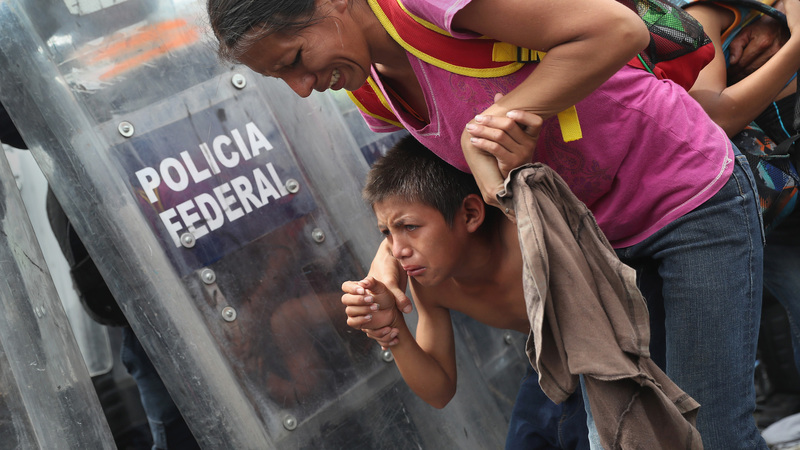 Of course, the short-term effects of tear gas on adults are also well-known. The agent irritates the mucous membranes, including ones mouth, nose, lungs and eyes. But according to the AAP statement, children “are uniquely vulnerable to physiological effects” due to their size and breathing rates. As such, the AAP has implored our government to avoid using such chemicals — and to protect all children. And we hope the U.S. government listens. Because whatever political war is being fought, it is no place for — or fault of — children.